Its official name is the Lloyd H. Ryan Playground, but very few people know it because there hasn't been a sign on it in years. 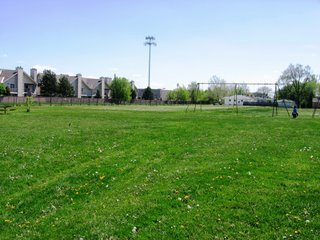 Most people refer to it as "that field by Greenview and Kirkwood." 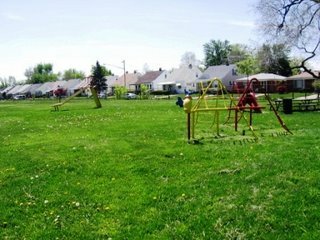 Its facilities are rather minimal; a swing set and a slide - barely enough to really call the place a "playground". There was talk about up-grading the area a couple of years ago. However, as Detroit's budget troubles escalated, the City could no longer find the estimated $14,000 that it would take. 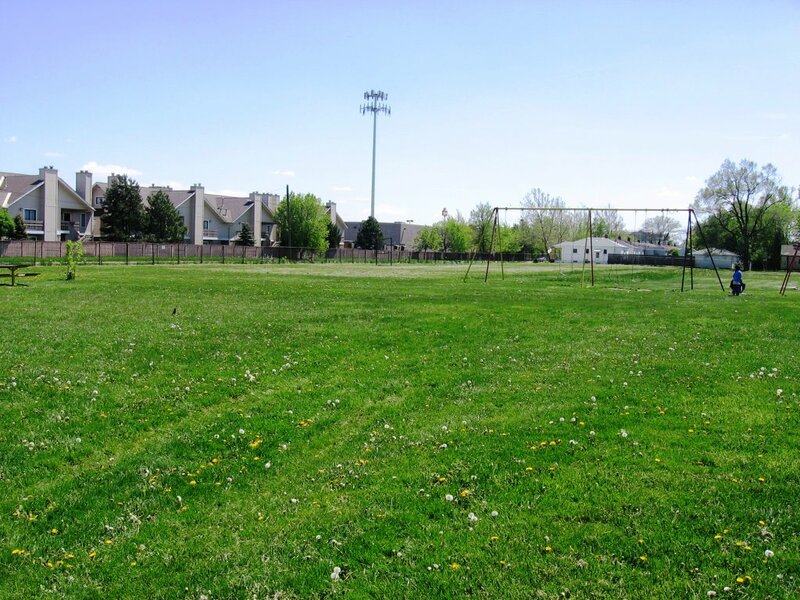 When the Warrendale Community Organization submitted its application to the State to be designated as a "Cool City", we include the revitalization of Ryan Park as part of our catalyst project. (Neighborhoods that are so designated are eligible for up to $100,000 for a "catalyst project" that is designed to attract and retail residents and visitors to the area.) If the designation comes through, we should see some new activity at this spot later this year. And if it doesn't - we'll still figure out a way to make it happen. It'll just take longer. We'll know more in a few weeks.